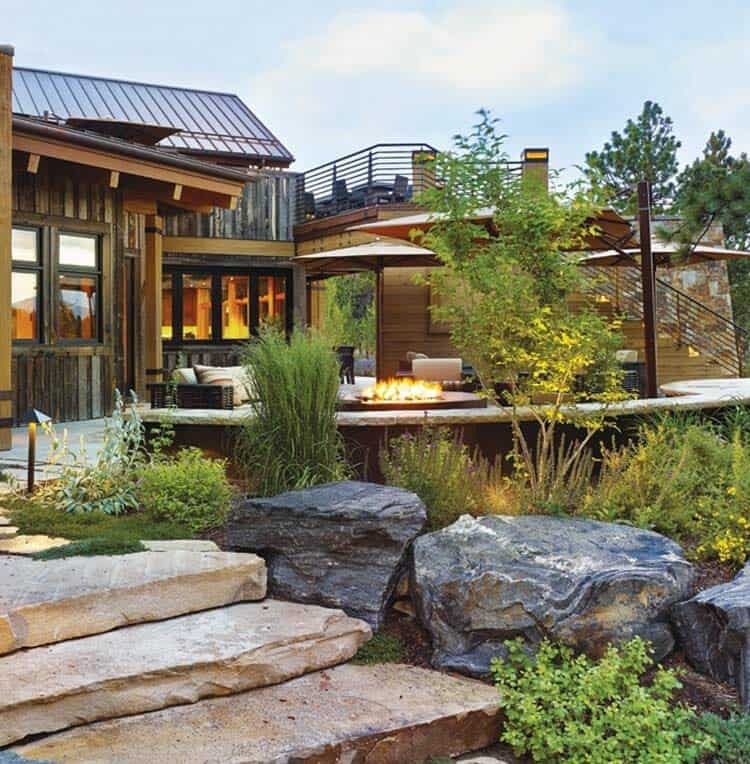 Designed for a cowboy and an artist by Barrett Studio Architects, this rustic-luxe dream home combines ruggedness and luxury, located on a hilltop in Evergreen, Colorado. 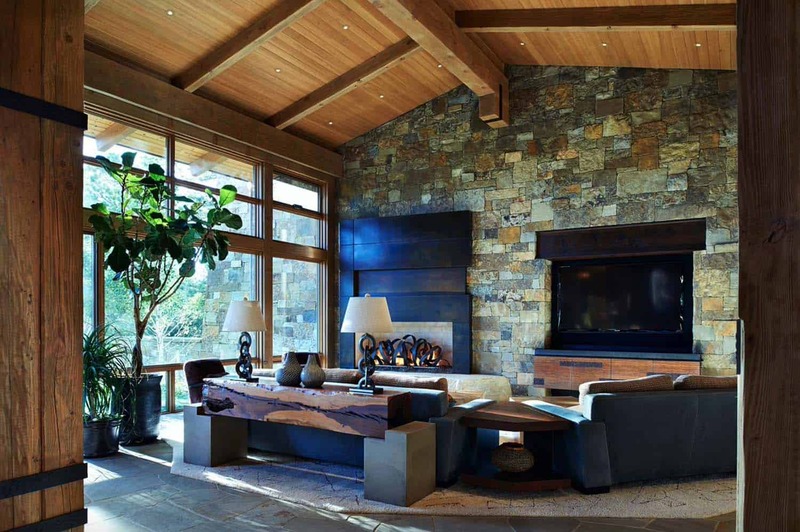 Nestled in the mountainside, this residence can only be described as perfect opposites, light yet muscular, rough yet luxurious. 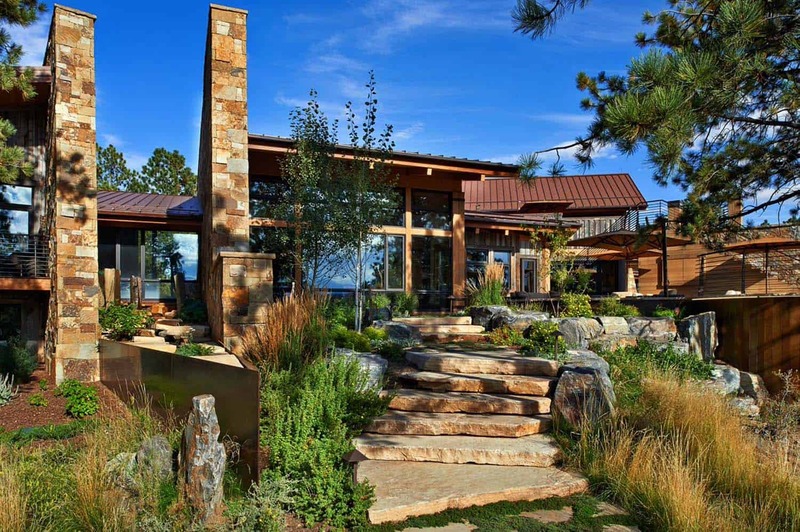 The architect and the homeowners wanted the home to be inspired by its natural surroundings, which includes a forest, meadow and Rocky Mountain snow-topped peaks. 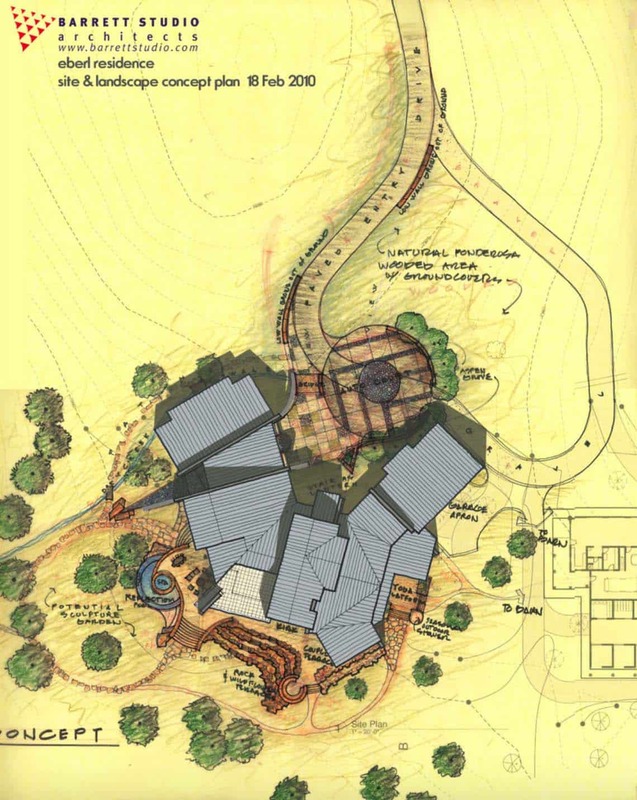 They wanted the house to feel like it has risen out of the earth like a tree, with one large living space that has heart and soul. 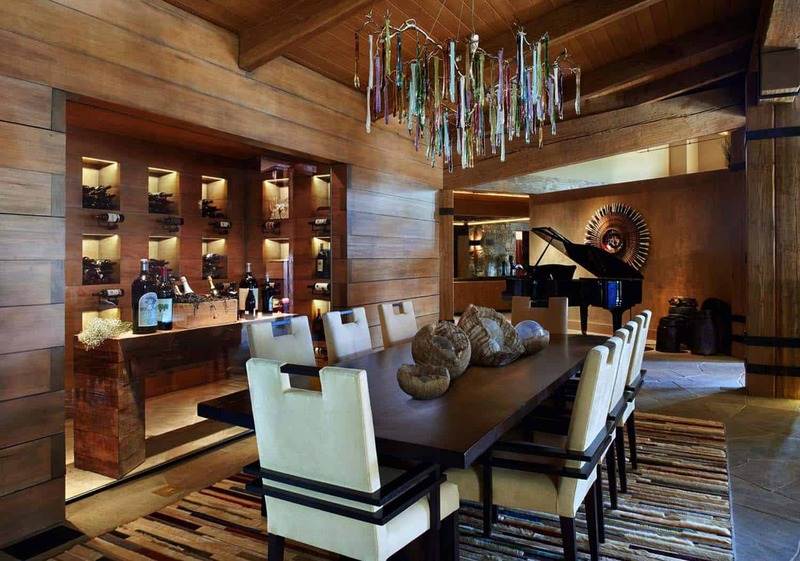 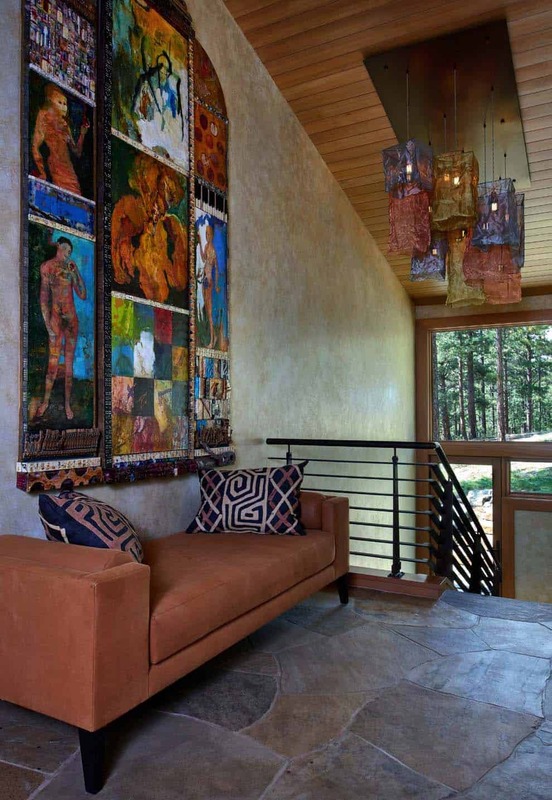 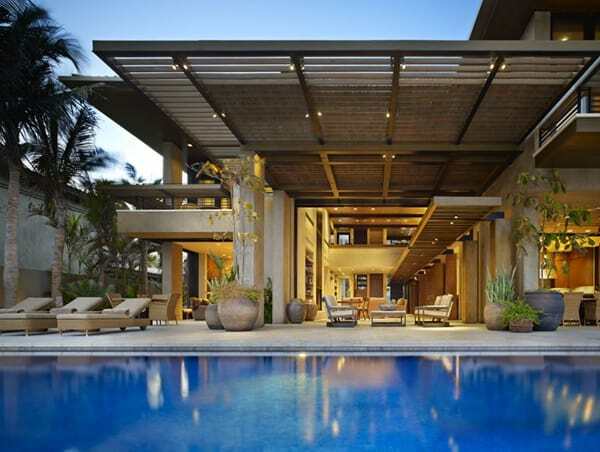 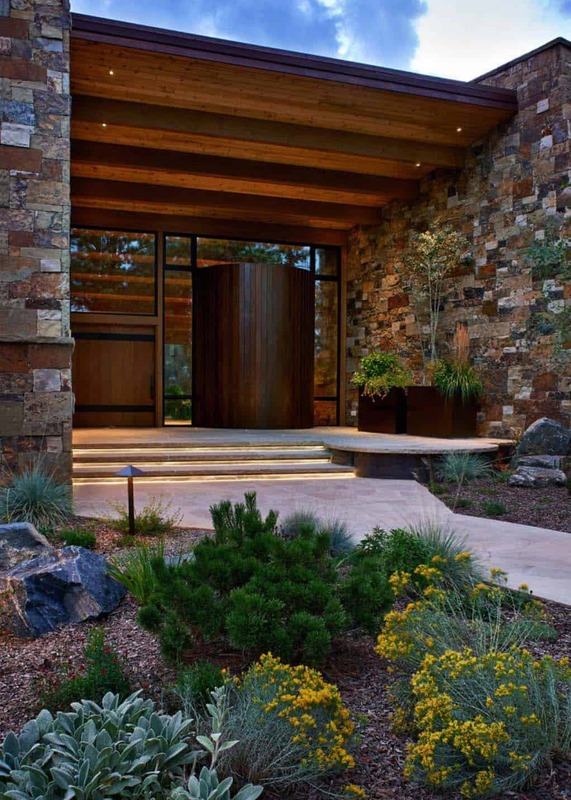 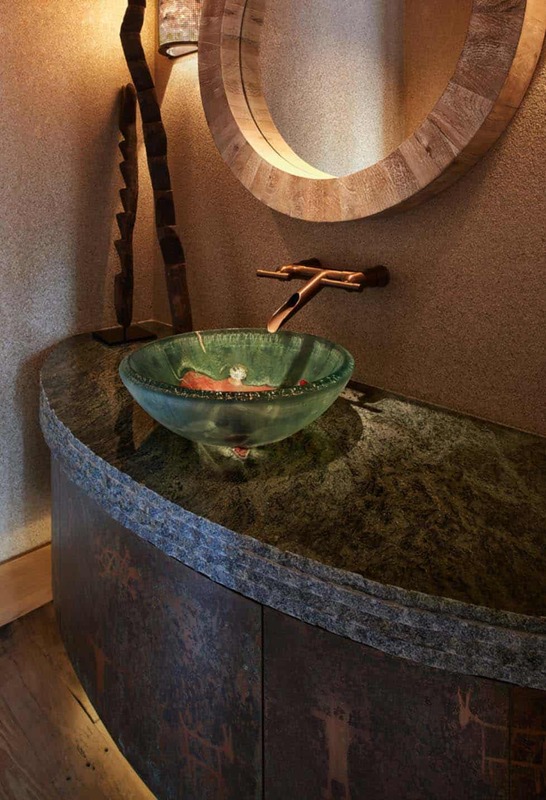 The owners requested large, flowing spaces with materials of hand plaster, flagstone flooring, and wooden beams. 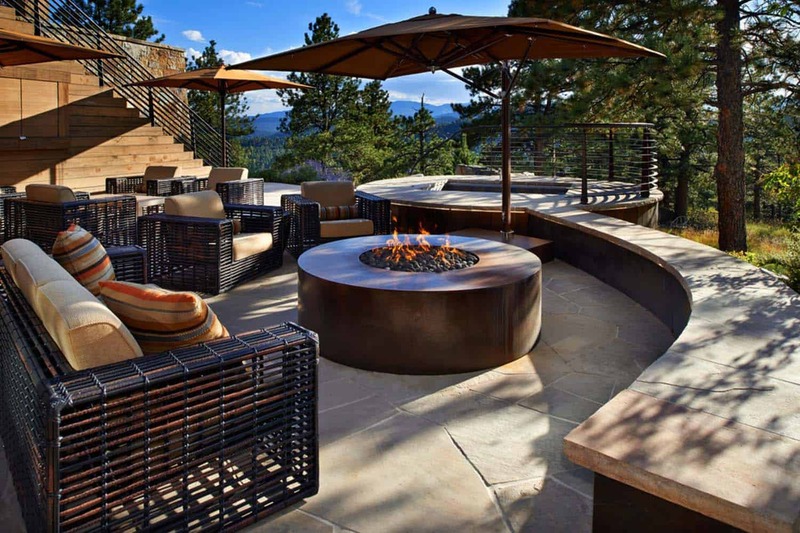 An outdoor deck needed to be the perfect space for sunrise yoga and office space for both homeowners with spectacular views of the surrounding landscape. 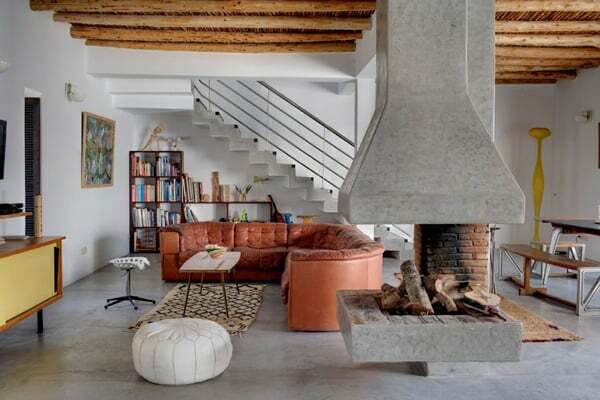 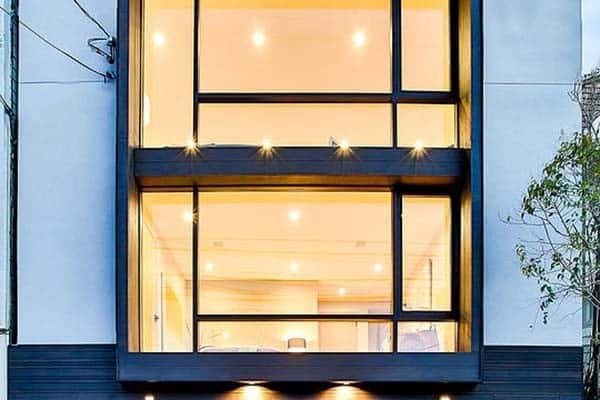 There is nothing square or rectilinear about the interiors of this home. 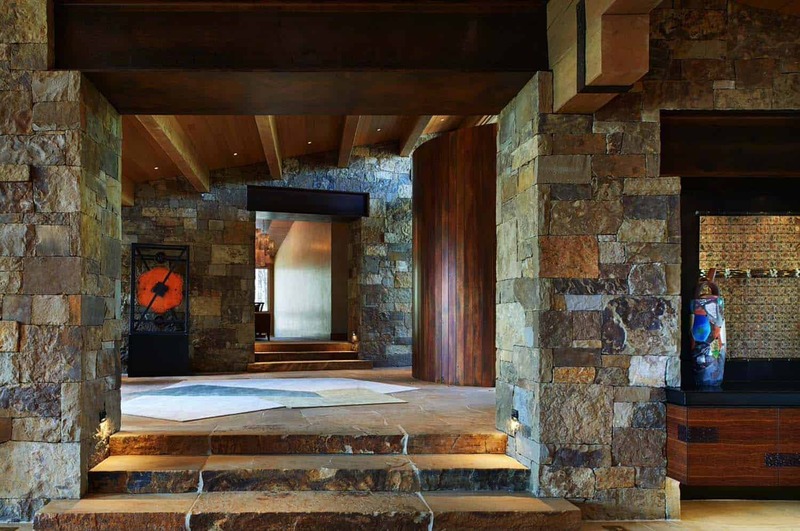 Upon entrance through the front door of this mountain home, you will notice that everything radiates out from there, designed to take advantage of the privileged views. 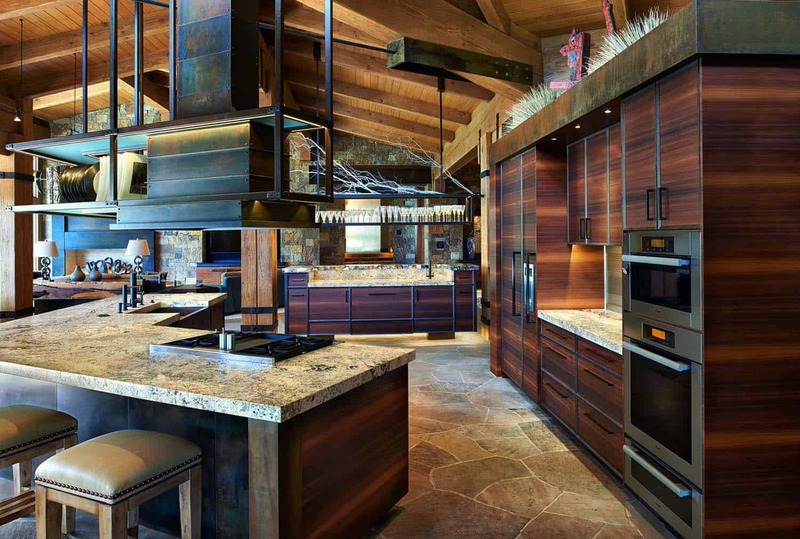 Everything in the house wraps around the kitchen area, which is comprised of leathered granite for the island countertop and custom cabinets composed of richly hued fumed larch. 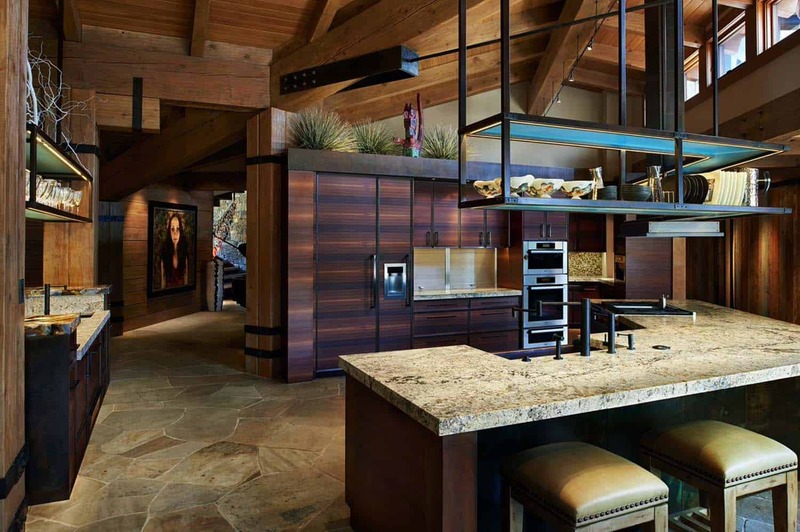 The kitchen was designed to be casual so that guests could conglomerate in the space and food could be spread out buffet style. 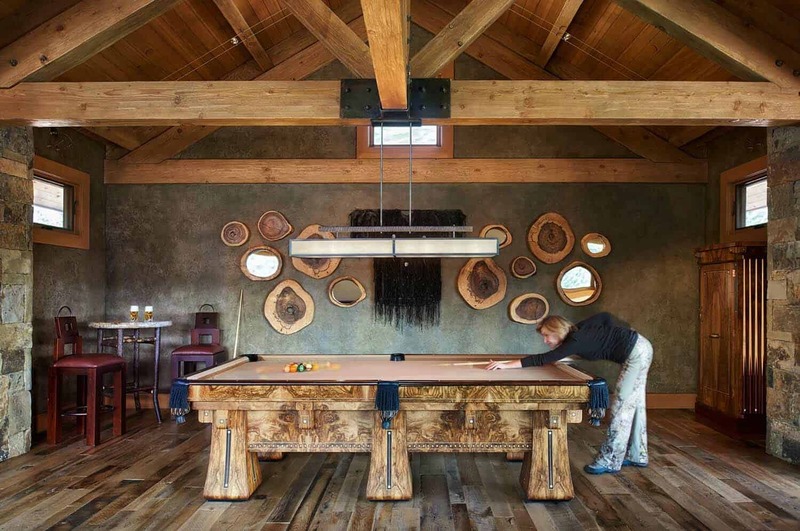 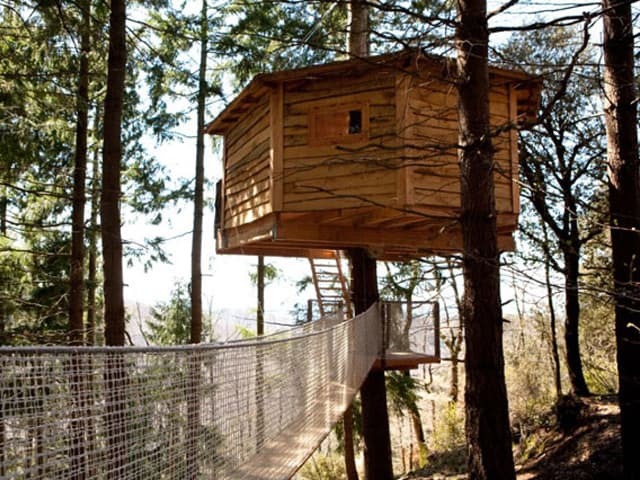 Inspired by the old Forest Service lookout towers, the homeowner’s requested a man cave on the second story, complete with pool table and shuffleboard. 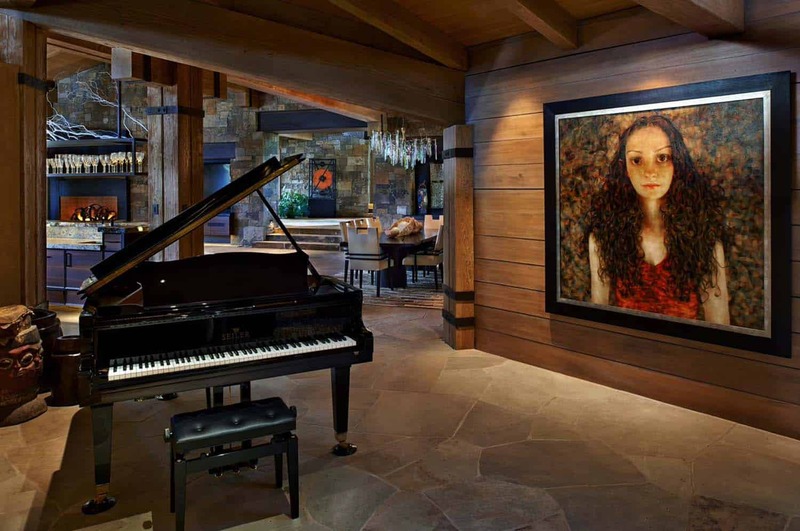 An artists studio and barn also sits on the property, a space for one of the owner’s to paint and the barn to board three horses. 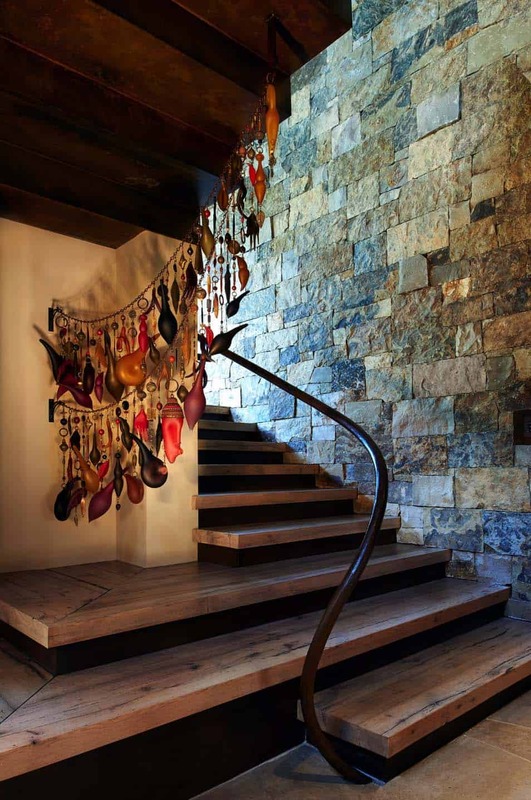 Project Team: Architecture: Barrett Studio Architects / Interior Design, Furniture, & Artwork: Fedderly and Associates / Landscape Architect and Landscape Contractor: Lifescape Associates Inc. / Kitchen Design: Exquisite Kitchen Design / Custom Metal Fabrication: Raw Urth Designs / Contractor: Ebcon, Inc.
What We Love: This rustic-luxe home is ultra-inviting, from the beautiful surroundings to the material selections both indoors and out. 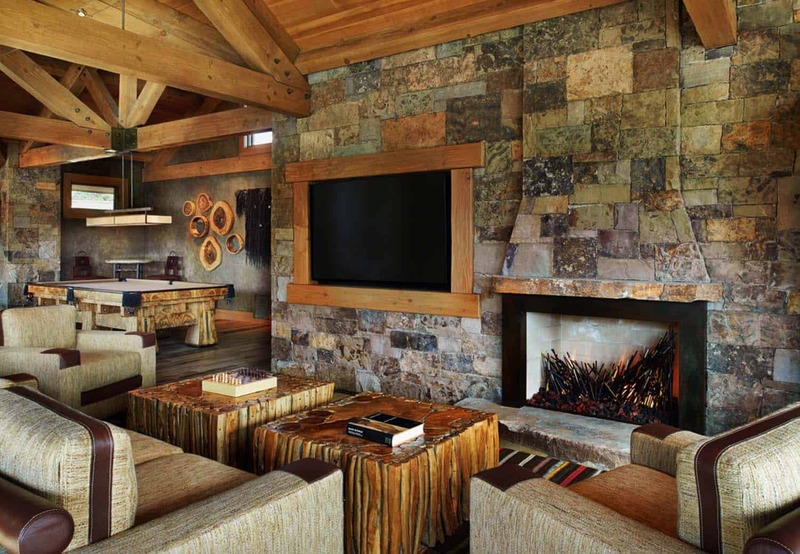 The interiors feature Telluride stone in the great room and a raw earthiness that makes this mountain home magnificent to take a visual tour through. 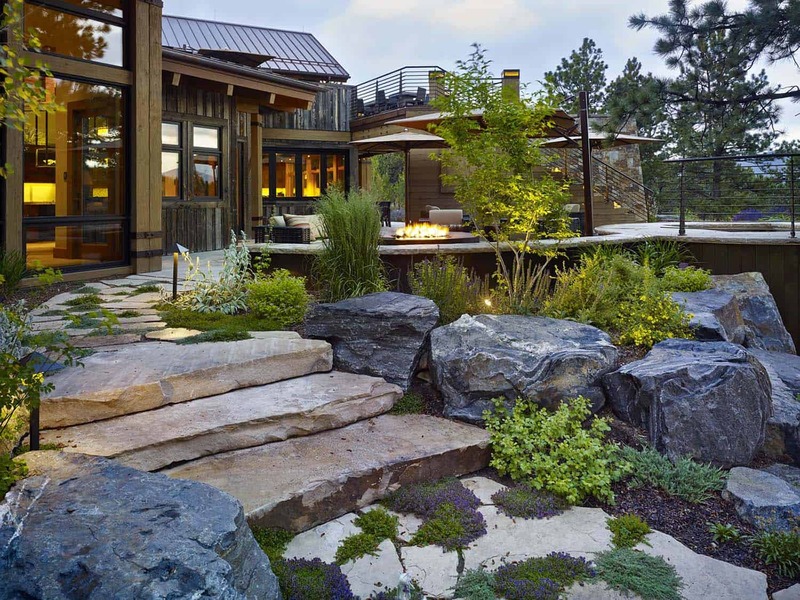 This project won the 2015 Home of the Year Award and was featured in the June issue of Colorado Homes & Lifestyles magazine. 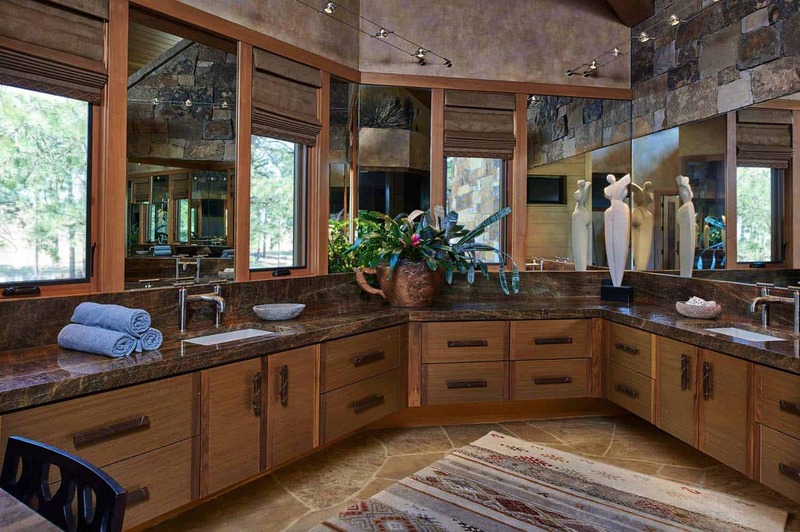 Have a look around and let us know what you think in the Comments section below! 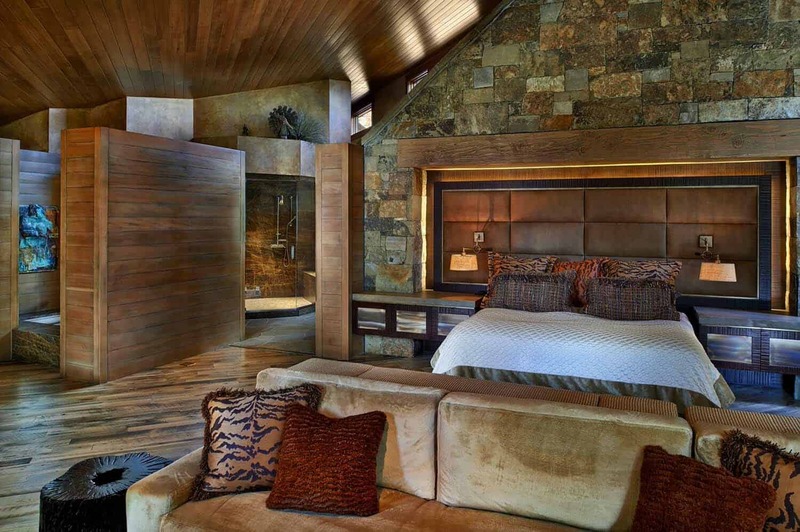 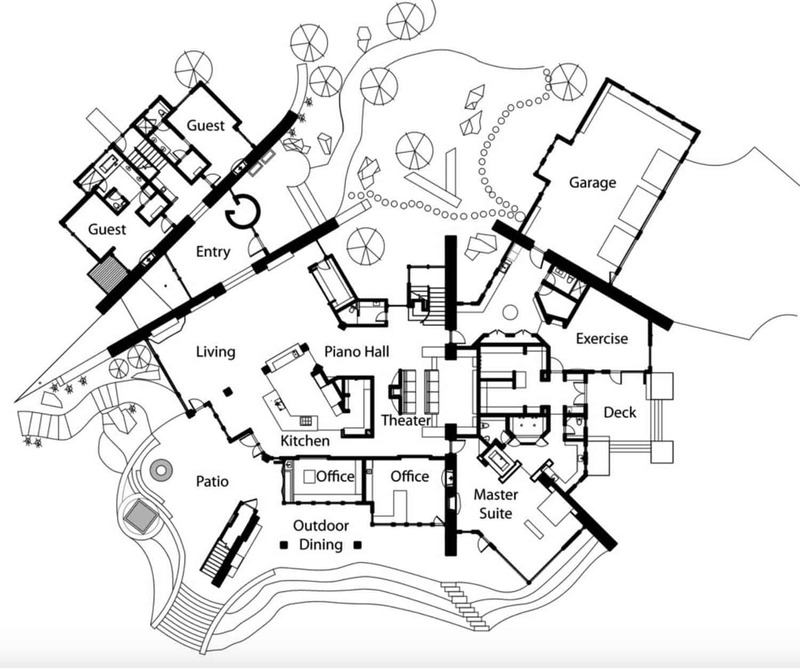 Note: We have showcased many gorgeous mountain homes here on One Kindesign that will take your breath away. 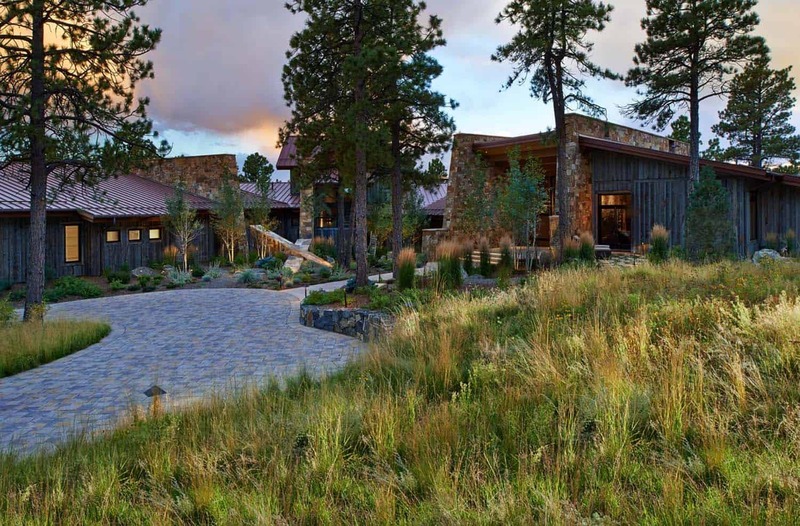 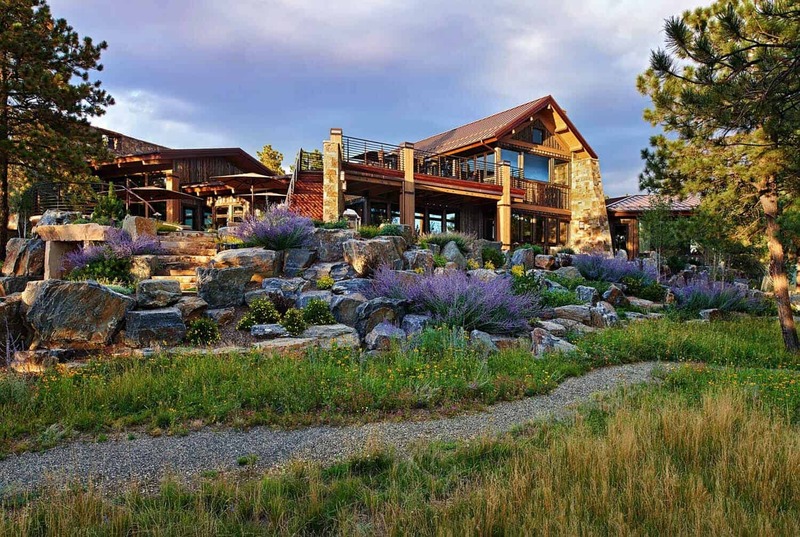 In case you missed them, have a look: Beyond spectacular rustic mountain retreat in Big Sky, Elegant rustic retreat in the Blue Ridge Mountains and Blending Texas style with mountain rustic in Tahoe: Austin Cabin.